Your telephone call is always important to us, and we understand that you want to speak to us as quickly as possible. If you are telephoning about a repeat prescription or information about test results, please call AFTER 11.00 am. If you would like to speak to Dispensary please telephone 01305 251128. 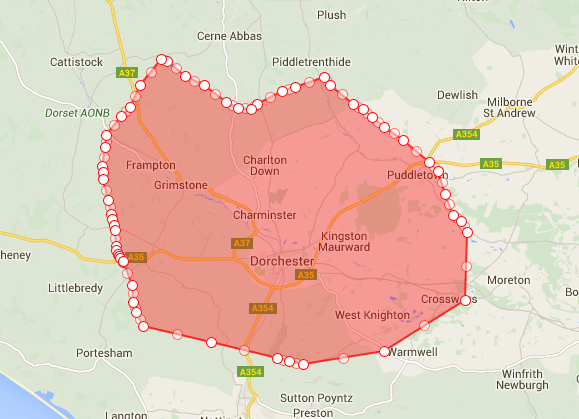 Please check the catchment area of our practice below before registering with us. Please only use this form for comments about the practice and suggestions as to how we can improve our service to you. This form can be used to contact us via email. Medical matters and official complaints cannot be dealt with via this form. If you have a query regarding a medical matter please telephone reception to make an appointment to see the appropriate person.